A new take on an old monster. The new horror film Wildling, co-written and directed by Fritz Böhm, re-examines the werewolf myth as a coming of age story. While not a conventional werewolf story in terms of a character being bitten and changing with the arrival of the full moon, it's very much a tale of a young woman coming to terms with the "animal" self that goes hand in hand with sexual maturity. It's a movie about father figures attempting to delay womanhood and mother figures who understand the natural order of things. It means well, even when it doesn't have a lot to say. The Diary of a Teenage Girl's Bel Powley plays Anna, who begins the film in isolation and raised by her daddy Brad Dourif, who regularly gives her injections to delay puberty and tells her that Wildlings have killed all the other children and want to kill her, too. Once she reaches 16, she is "rescued" by the town sheriff (Liv Tyler), who brings Anna home to live with her and her younger brother. But then the killing starts. Wildling is the hardest kind of movie for me to write about: a smaller, independent genre film that's executed well and can use the signal boost of positive word of mouth, but which is hard to recommend too enthusiastically because it does very little that I haven't seen done in movies already. There's certainly more of a folklore approach to the monster of Wildling that feels somewhat novel, in particular a backwoods character played by James Le Gros who pops up from time to time. The performances are all really strong, in particular Powley at the center and a welcome Liv Tyler bringing warmth and authority and decency to the film just by basically being herself. The direction is elegant and evocative of the mood Böhm is trying to capture, demonstrating a strong understanding of how to use lighting and location. So why can't I get more excited about Wildling? 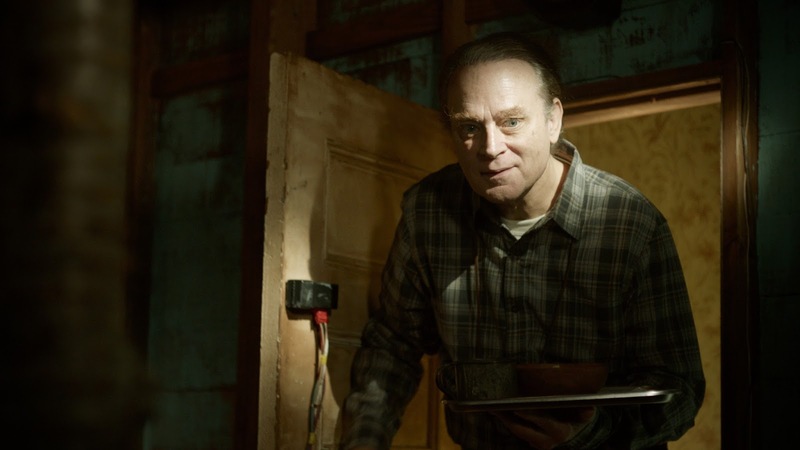 It's executed well on just about every level and features standout performances from Powley, Tyler, and Brad Dourif. It's not a movie of which I have much criticism, except that the ground it covers feels familiar. Everything from Ginger Snaps to the Buffy the Vampire Slayer TV series have approached adolescence with the werewolf metaphor; the difference is that Ginger Snaps also took a position on what it means to become both a woman and a monster (and I am not equating those two things by placing them in such close proximity; I'm suggesting the movie did two things at once). Parallels were drawn, yes, but only in the way that the changes Ginger was undergoing made her seem more distant and alien to her younger sister and the kids who knew her as she was, not as who she was becoming. Wildling is different in that almost every supporting character is only getting to know Anna at this pivotal point in her life, which gives them no frame of reference for these changes. The most interesting in the stuff involves Anna's relationship with Brad Dourif; their scenes together play like a really cool short film that opens the movie, but then Dourif vanishes for a lot of the running time. The lack of any other established relationships strands some of the transformation stuff because it's hard for us to see how Anna is changing when we don't know what she's changing from. Bel Powley is good enough in the lead role that her performance alone helps shift the focus of the story from one of a family or a community watching a girl become a monster to that of a girl living in fear of becoming a monster herself. And that works! 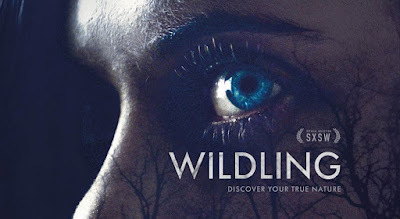 It's just still not enough for me to recommend Wildling as more than a well-done coming-of-age horror film that executes but doesn't transcend. It's a good movie that doesn't add much to its particular subgenre, a well-acted and well-directed effort that I'm unlikely to revisit. Wildling is currently playing in limited release and on VOD from IFC Midnight. I agree fully with this review. It was good but nothing I would revisit. Am looking forward to more from the director. This movie was surprising and sweet, totally unexpected without previewing reviews by...well, lets face it, a dude who obviously didn't grasp the feral feel of the film. Nice try at reviewing, though. Better stick to Star Wars, Honey.